We have tried many different pancake recipes over the years. So far I have to say this is our favorite. It is easy to make, healthy and the kids love them. 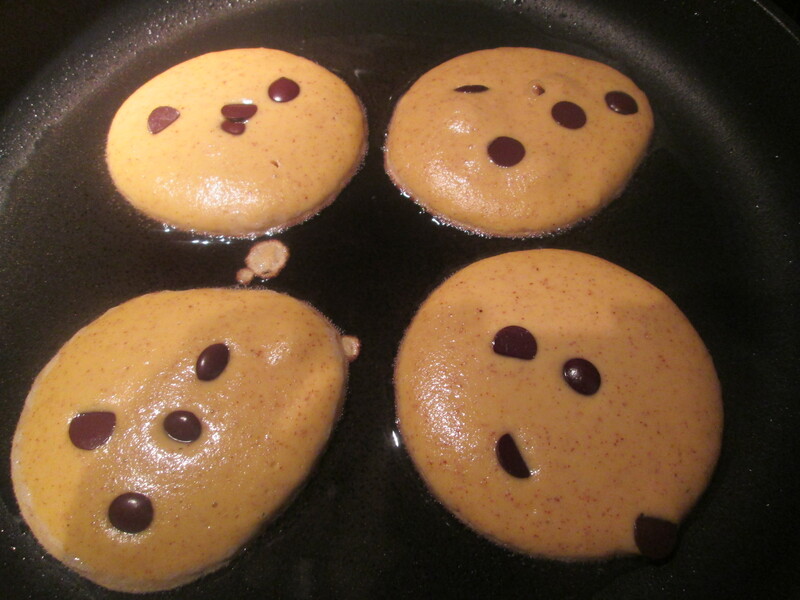 We use 76% dark chocolate chips as they are healthier and the perfect sweetness for the breakfast pancake. We also use avocado oil to grease the pan. It is a healthy fat and safe for heating at high temperatures. We buy ours from Costco. You just want to make sure your frying pan or griddle is nice and warm before you put your first pancake. It is important to turn the temperature down when you put the pancakes on as they might burn. They are quite easy to turn if your pan is nice and warm. You can find the recipe at Against All Grain.